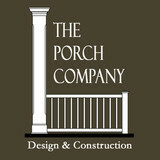 We design and build porches throughout the Nashville TN area. These include screened porches, open porches, covered porches, pavilions, gazebos and attached decks, patios, water features and much more. We now have an online store for anyone outside of the Nashville area, or anyone who simply wants to buy our products: www.porch-store.com ! We build decks, screen rooms, porches, custom pool or spa enclosures. 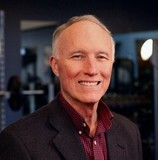 We are a family owned business based in the Birmingham, Huntsville, & Nashville area. We strive first and foremost to provide you with the best experience possible. 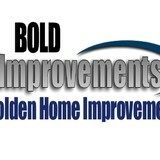 We offer a full line of high quality, custom ordered products that will transform your homes exterior. From windows and siding, to decks and sunrooms, when it comes to your homes exterior chances are we have you covered. We offer free estimates and design services to make the process as efficient and professional as possible. Archadeck prides itself on the quality of work we do and how we take care of our clients. We bring the experience of a nationally respected custom deck building company to the Nashville area. With over 30 years experience and 100,000 structures built, Archadeck leads the industry in quality and safety. Contact us for a design consultation to see some of our past projects, discuss your outdoor living dreams and visions. 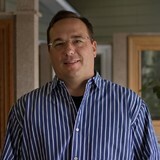 We’ll go over materials, budget and take pictures of your home. All of this is completely free! (If you have an existing deck, we will do a free deck safety inspection to determine if you have a safe deck. If you need repairs or replacements we’ll talk over that with you as well.) If you decide to continue with Archadeck of Nashville, we will create a custom deck design, patio design or even a outdoor paradise complete with outdoor kitchen and fireplace. Even after we design your oasis, you still have the option to back out. You will not be under obligation until you sign your contract and approve your design/plan. Ready to break ground? Once you sign the contract, you’re protected by our guarantees. Between the two, you will have the most complete customer protection plan in the industry. We also have local oversight that assures your property and privacy are protected. From permits to final clean up, we work very hard to be as discreet and unobtrusive as possible. Thank you for considering Archadeck for your project. We hope to hear from you soon. Dream Builders Construction has over 15 years experience in residential construction, which includes remodeling and restoration, new home construction, insurance claim repair, and property management. We take pride in doing exceptional work on every job we encounter, making a huge portion of our clients repeat customers. Dream Builders Construction wants to be the contractor you choose for all your construction needs, no matter how big or small the job. Don’t hesitate to contact us with any ideas you may have on your next project. We are here for you! Dream Builders Construction, Inc. was founded by a business professional with an extensive background in all areas of construction and an equal desire to be the premier builder in Tennessee. When choosing a contractor you must consider many things such as cost, quality, reliability, and knowledge of the trade. For your protection, Dream Builders Construction, Inc. is Licensed, Bonded, and fully Insured. Remodels, Decks, Wine Racks, Cellars, Custom Projects, Commercial & Residential in Nashville TN and surrounding areas. Ryan & Sam 615.438.9833 Text us your ideas & pics! SMC Home Improvement LLC is a Licensed and Insured General contractor that specializes in New Construction and Home Remodeling. We specialize in custom outdoor living spaces. We are excellent in design and theme for the exact atmosphere out clients are searching for. Not only can we create exceptional entertainment spaces, we are experts at making them work with existing structure designs. Palm Beach Enclosures offers the best built, best installed and the best backed warranty in the business. All additions are built to the exact specifications of our customer's request. Our materials are top-of-the-line, made exclusively to Palm Beach Enclosures specifications by the top sunroom manufacturer in America. Palm Beach Enclosures not only builds quality Sunrooms, Solariums, Garden Rooms, Patio Covers, Screen Rooms and Pool Enclosures, but we also specialize in Motorized Screens and Retractable Solar Screens. After you have browsed our website please feel free to contact us and we will have one of our design consultants meet with you for a No-Obligation, No-Charge in-home estimate. We offer a variety of brands such as Phifer, Twitchell, Phantom, Clearview, Mirage, Titans, Metals USA, Eclipse, Sunsetter, Owens Corning, Four Seasons, Patio Enclosures, Screeneze, Master Windows, Sunrise, Anderson, Pella, Alcoa Metals, Magic Wall, Certainteed, Crimsafe and many others. 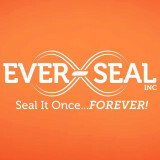 We have no desire to push a certain brand of product on you but rather to use the product that best suites your need. For instance, you may be looking to wall-in your patio cover using retractable screens. Some companies offer only motorized screens while others offer a manual pull system. It is entirely up to what your specific needs and budget are and we can customize any solution. This is one of the many reasons we are the top rated patio enclosure company in Tennessee. *Authorized YellaWood Contractor* For over 30 years, we have provided Nashville, TN and the surrounding areas with professionally designed decks, pergolas, trellises and covered porches, along with arbors, pool/spa decks and other specialty structures for your home, garden and business. For all your outdoor deck design and construction needs, contact Edd Smith at Deck Designs of Brentwood™ and let his team of talented craftsmen help turn your outdoor vision into a reality. We offer premium outdoor construction services to discerning homeowners and businesses in Nashville, TN. We use the finest materials and perform precise craftsmanship. Those seeking the lowest possible price should look elsewhere. We specialize in building custom decks, porches, and outdoor living areas. Prestige Decks is an authorized TimberTech contractor in Middle Tennessee. What services do deck and patio builders in Whites Creek, TN provide? To help you choose the ideal style, configuration and materials for your deck or patio, your deck and patio contractor will survey your Whites Creek, TN lot and your home to come up with a design that complements your exterior as well as being structurally sound. He or she will recommend sizes, heights and construction materials that suit your lifestyle and climate, as well as explain the best stain or finish options. Additionally, deck and patio professionals can provide insight into additional components such as outdoor kitchens, patio covers, fire pits, outdoor lighting, arbors and more. Your deck and patio professional might work closely with another Whites Creek, TN lawn and landscape professional. Here are some related professionals and vendors to complement the work of decks, patios & outdoor enclosures: Landscape Architects & Landscape Designers, Garden & Landscape Supplies, Stone, Pavers & Concrete, Landscape Contractors, Building Supplies. Find a deck and patio builder in Whites Creek, TN on Houzz.